A: Issue #6 is a 3.3 mill Permanent Improvement Levy on the May 8, 2018 ballot for the Grand Valley Local Schools. What is a Permanent Improvement Levy and what can the money be used for? A: A permanent improvement levy is a money issue that can be used for items which have a useful life of five years or more. Money is typically used for facility improvements, technology upgrades and buses. Permanent Improvement funds cannot be used for salaries and benefits for employees. Doesn’t the district already have a Permanent Improvement levy? A: Yes, a permanent improvement levy which collects 0.59 mills or approximately $121,500 per year. This levy will be suspended if the new levy passes. Then why a new request? A: Funds from the PI levy are used each year to purchase at least one bus, make repairs and upgrades to not only the new building but the field house and bus garage complex. A new bus costs over $80,000 to purchase. That does not leave much available to make the payment on the athletic field, to purchase computers/chrome books or other technology, to improve infrastructure or to improve safety measures each year. We have a new building, why does it need upgraded? A: The PK-12 facility was completed in 2005, which is hard to believe it has now been 13 years. Much of the technology and associated infrastructure is at least 13 years old and, while many things will work just fine for many years to come, technology has changed in the past 13-15 years since this school was designed. Network capabilities are different now; even devices (phone apps, chrome books, smart technology, and touch screens) that the students use now vs. 13 years ago have changed significantly. Ways to keep our building secure have changed dramatically as well. Cost saving measures such as LED lighting would save the district in operational costs. When will I have to start paying for this new levy? Collections from the May, 2018 levy would begin in January, 2019. What will this new levy cost? The 3.3 mill PI request will cost an average $100,000 homeowner $115 more per year (after the elimination of the existing PI levy discussed above) just for the PI levy portion. That is $9.62 per month or about 32 cents per day. Actually, with the reduction authorized by the county auditor for the bond issue for collections in 2018, this new levy will keep total collections for the school district in 2019 very similar to collections in 2017. The bond issue millage for the construction of the schools was reduced by the county auditor for 2018 collections by 2.5 mills. The school board will terminate collections of the existing PI levy (.59 mills) with the passage of the new levy. This results in an increase in 2019 over 2017 levels of only 5/100th of a mill, $34.04 per year or $2.83 per month for a homeowner with a $100,000 home. How does Grand Valley Local Schools tax rates compare to other schools in Ashtabula County? What has the district done to save money? 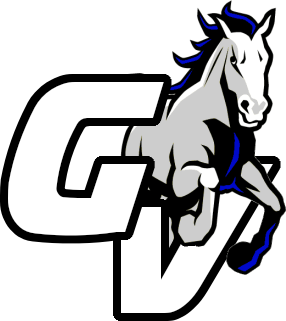 Grand Valley has been especially frugal over the past 10 years and has made cuts in spending to keep a balanced budget; reduced teaching positions, bus routes, coaches and advisors, custodians, a secretary, supervisory positions, an administrator, implemented pay to participate, and increased employee health care contributions. Again, these adjustments have been made to keep spending in line with revenues. Feel free to call the Superintendent’s office with any questions at 440-437-6260, ext. 4 or email William.nye@grandvalley.school .